Paragon Software Systems is celebrating the success of its order fulfilment software in supporting leading digital retailer, Argos, to plan more than one million Fast Track deliveries during its key Christmas trading period. The ability of the Paragon HDX software to dynamically plan delivery slots, as part of a highly-efficient fulfilment operation, enables Argos to offer customers complete confidence in their chosen timescale whether they are collecting in-store or receiving a home delivery. The feasibility of these windows is based on real-time availability, using both operational fleet capacity and the proximity of the customer to available stock, with the software continually re-optimising the routes and schedules as every order comes in. 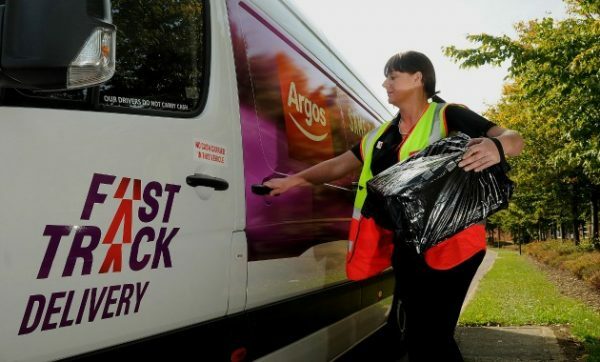 With online orders now representing over half of Argos’ total sales overall, Paragon HDX has become a key part of the retailer’s delivery operation, offering added levels of choice and convenience to customers. Paragon Software Systems has worked closely with Argos over the past year to increase fulfilment capacity for the peak period by around 60 per cent – without the retailer having to significantly expand its delivery fleet. Paragon HDX is now used across more than 160 Argos hub stores to help manage a fleet of 436 vans, with around 1,300 routes being optimised by the software on a daily basis to support the Fast Track services. This allows the retailer to offer four delivery timeslots throughout the day for customers to select at the point of purchase, making it possible to order an item as late as 6pm for delivery to around 95 per cent of UK households the same evening. “The successful integration of all of our supply chain systems has been critical in allowing our customers to order any product they want and receive it at a choice of destinations within unmatched timescales. Paragon has worked closely with Accenture and a number of other partners to deliver a dynamic routing and scheduling solution that helps Argos deliver on our promise to customers,” added Andy Brown.